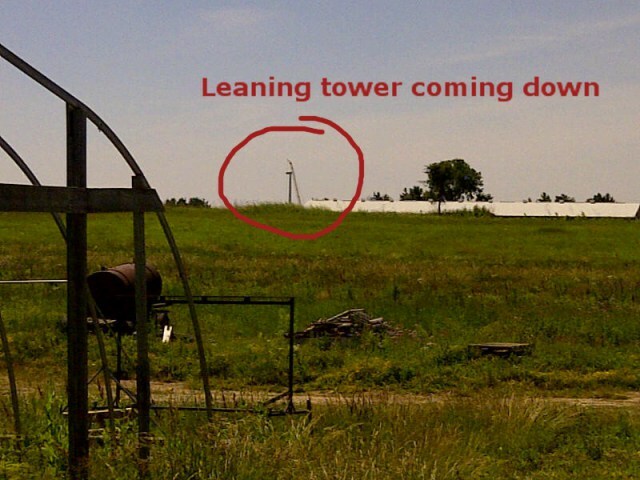 It appears it’s not just a rumour, this turbine is coming down in NextEra’s Bornish wind project – blades were removed on July 7th, 2014. What we are hearing is at least 6 possibly as many as 9 turbine bases were not excavated deep enough, approx 3 feet too shallow, and they are leaning/unstable enough that they have to be dismantled, cement broken out, dug deeper, repoured and reconstructed. They cannot just move them over and pour another pad. Remember everyone— these people are EXPERTS!! !